Wastewater treatment company OxyMem has announced that Saudi Aramco Energy Ventures has invested in the UCD spin-off company. Saudi Aramco Energy Ventures is the corporate venturing subsidiary of Saudi Aramco, one of the world's leading integrated energy and chemicals companies. 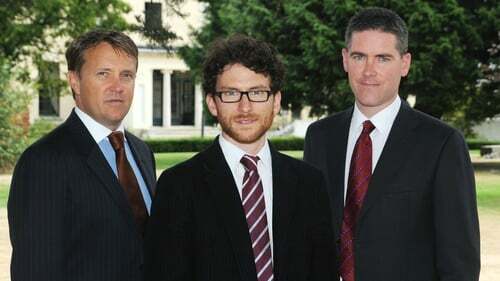 OxyMem was co-founded by Wayne Byrne, Professor Eoin Casey and Dr Eoin Syron in 2013 as a spin-out from UCD's School of Chemical and Bioprocess Engineering. The company is commercialising an infrastructure solution to reduce costs for wastewater treatment, the Membrane Aerated Biofilm Reactor (MABR). The technology has the potential to bring wastewater treatment closer to energy neutrality by reducing energy consumption for aeration by up to 75%. OxyMem said the new funds will be used to grow the business by increasing investments in product development, expanding its manufacturing capacity and increasing its sales force. Wayne Byrne, Managing Director of OxyMem, said the company was delighted to have secured the funding from such an influential actor in the energy world. "We feel strongly supported by Saudi Aramco and believe this investment will add momentum to our market development goals, particularly in some of the more water stressed regions," he added.